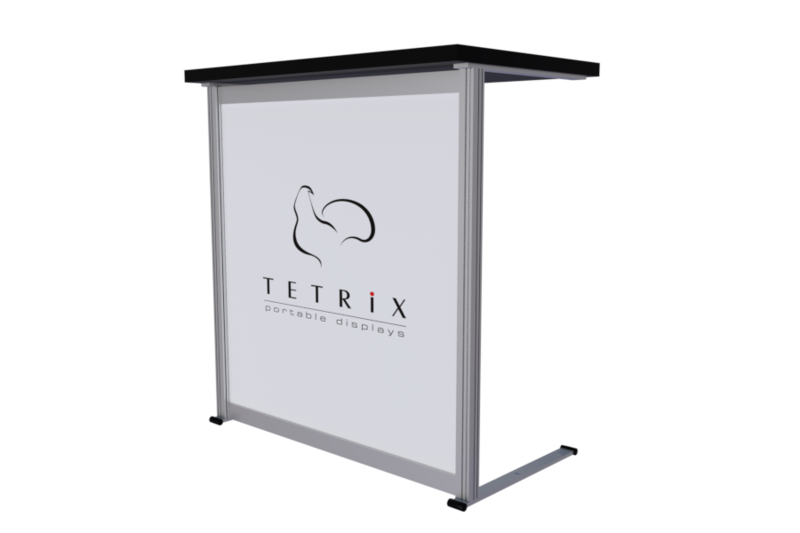 Counters and other solutions that meets customers in shops, on events and exhibitions. 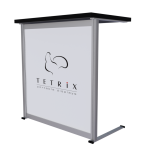 The PROMO series of products are aimed for short time events in shops and on events. PROMO products like our printed counters are easy and fast to move from place to place. 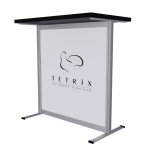 We also offer product combinations that are popular for shorter marketing events. Scandinavian quality standard that guarantees a unmatched durability and functionality. Counter is a strong barrier that is fully covered by a print. Easy to update. The genious construction allow you to attach several tables in different shapes. Just place the counters in the shape you want and cover them with an continuing graphic. Would you like to order? The SlimFrame system is only 16mm thick and all the constructions are covered by print. 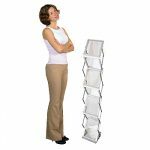 It gives most room to the advertised product or service and less visible display system construction. 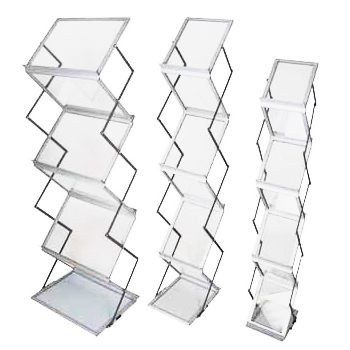 Works well as a A-stand type display indoors. Very stylish. 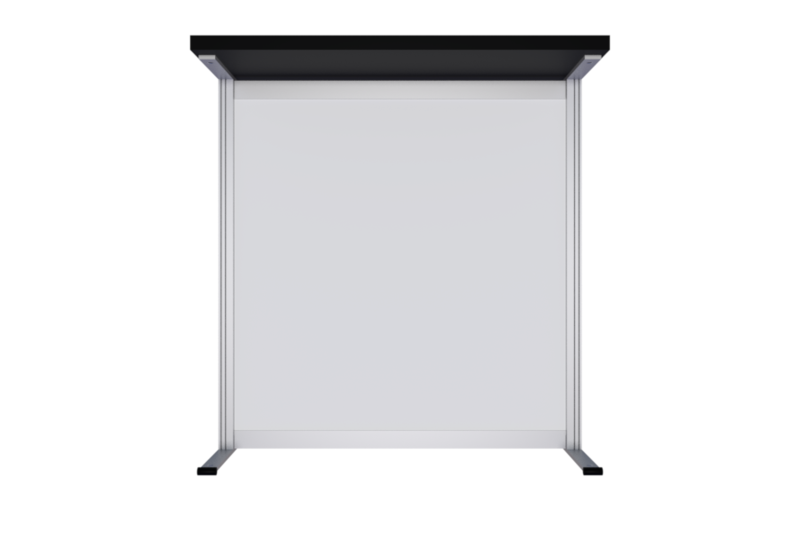 SlimFrame advertising stand is a double sided print that is designed to get your message through in shops, on exhibitions, in all environments where a display stand requires double sided print. It is very easy and affordable to change the canvas that is fastened with VELCROⓇ brand hook and loop adhesives. 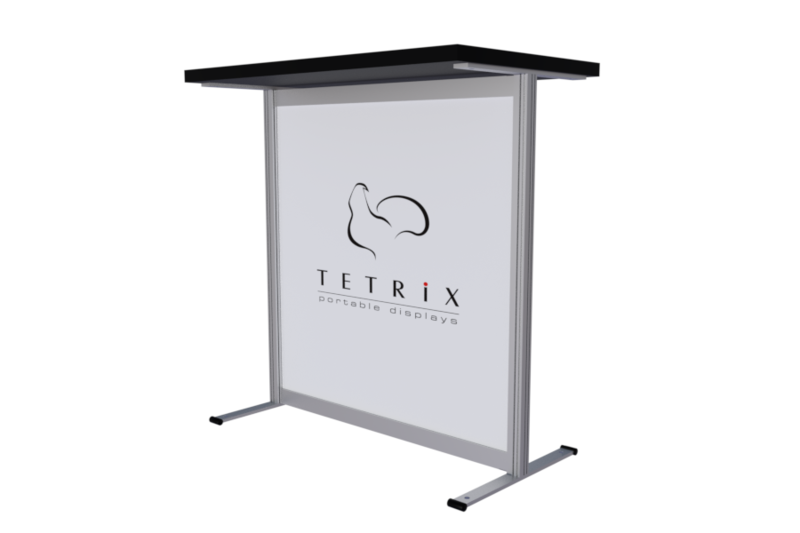 The high resolution banner is printed on fire retardant TETRIX SuperFlat™ media. 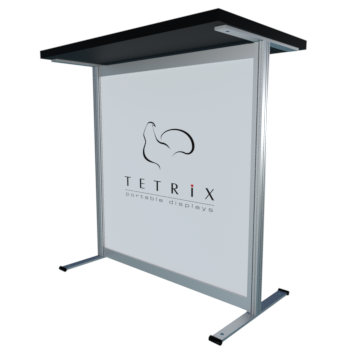 Advertising fence for indoor and outdoor use. Use modules of 100, 150, 200, 250, or 300 cm in length. The height is 100 cm and the graphic height is 90cm. The Café barrier is also ideal to combine with our other AluLite products and can interlock with walls and dividers. Also double sided print available. Fire Retardant high class print. 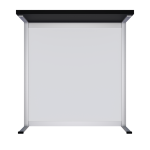 Module price includes a complete C-module (2 beams, 1 pole and one sided print). Ad adjustable foot or Slim foot to each pole. Add an extra foot if you want to have a self standing wall and double sided print if needed. 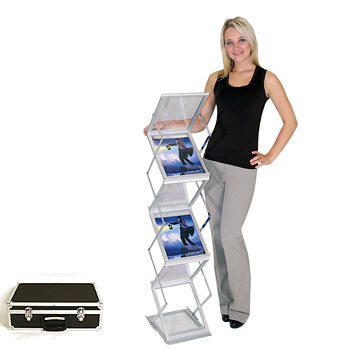 All sizes of easy to set up shop-in-shop models for great visibility in promoting your products and services. We can build you a shop in many different sizes and looks. 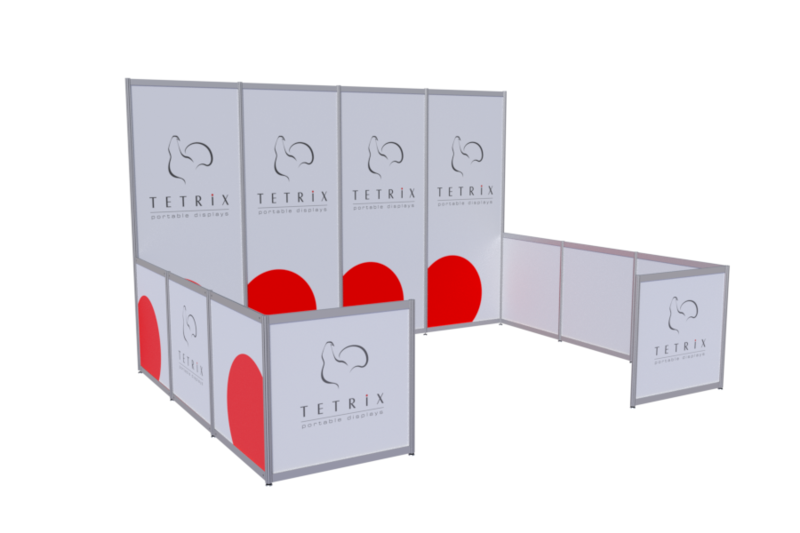 The logo area on the top will be visible at a long distance and it is easy for your customers to find you. It is very easy to lock the parts together and updating pictures in your stand just takes a few minutes. You can also add walls to your stand or grow the area with e.g. Alu Café barrier fences. Innovative, fast and affordable. with lock. All sides of the case is aluminum, and the inside padding will keep your leaflet stand steady and safe inside the case. 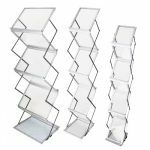 Leaflet Holder Z carries the same Scandinavian quality requirements as all of our products: Easy to assemble, high-class finish and a construction that makes it last for many years to come. An excellent choice!